Copyright protection arises automatically at the instant that an original work of music is written down or recorded on a CD or tape or in an digital file, without any further steps being taken by the musician. Music that is still just a thought in the composer's head, or that the musician has performed in her living room or at a concert that was not recorded, is not yet protected by copyright law. A musical composition that is not original, but is a copy or variation of a work for which someone else holds the copyright cannot be copyrighted. However, a performance of music, whether copyrighted or not, is also protected by copyright law, because the individual expression of a performer has artistic originality, according to the Recording Artists Project at Harvard Law School. Original music compositions or performances can be registered by submitting an application form together with two copies of a recording of the work, plus a filing fee, with the U.S. Copyright Office.The filing fee is $35 for online filings and $50 for filings by postal mail at the time of publication. Multiple songs can be registered together as a collection, which is faster and more economical than filing multiple single-song registrations. 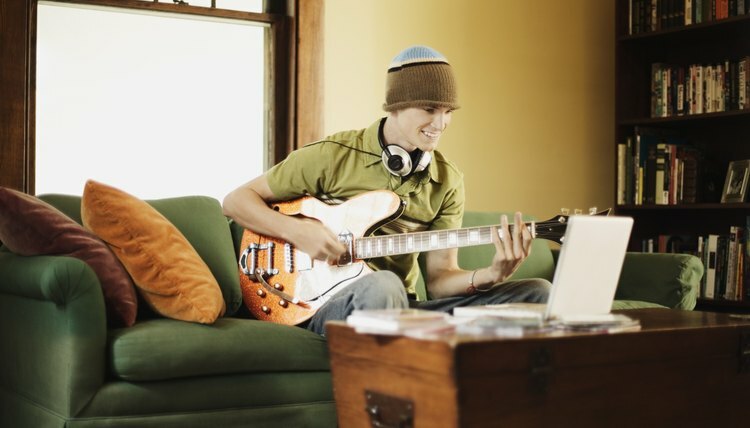 Registration is valuable to musicians and composers both because it allows the musician to file enforcement lawsuits against copyright infringers, and because it allows other performers to identify the copyright holder in order to buy a license to make cover recordings, according to NYMusicCopyright.org, an information resource for musicians provided by the New York State Attorney General's Office. Before 1989, a copyright symbol--a letter C inside a circle, or, for recordings, a letter P inside a circle--was mandatory on all copyrighted works. Today, the copyright symbol is not legally required, but is still helpful to let the public know the work is protected by copyright law. Placing a copyright symbol on a musical composition or recording does not substitute for copyright registration, but placing the symbol on a work accompanied by the date of composition or recording along with the name of the composer or performer will help direct people wishing to use the music to the copyright holder to obtain a license. A copyright holder has the exclusive right to record, reproduce and sell her music, but that right can be licensed, sold or transferred to other people. Most commonly, other performers pay a fee to obtain a license, or permission, to record a cover of a copyrighted song. Owners of registered copyrights can sue to prevent others from using their music without an appropriate license. Advances in digital technology for music recording and distribution have made both licensing and enforcement increasingly complex. Musicians must be diligent in registering their copyrights and posting clear copyright notices, and vigilant in enforcing copyright, in order to maintain the effectiveness of copyright protection of their music. NYMusicCopyright.org: Copyright--Why Should You Care?